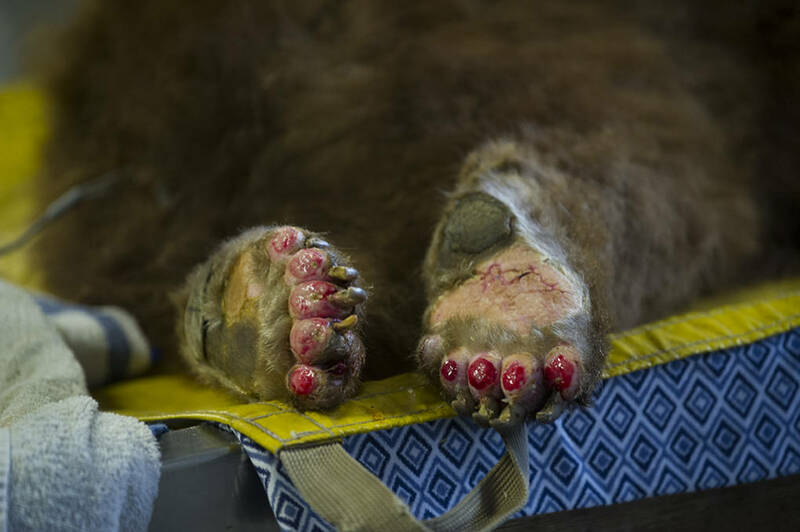 SAN FRANCISCO (AP) — Veterinarians successfully used alternative medical treatments such as acupuncture on three wild animals burned in the Southern California wildfires, although one patient — a 5-month-old mountain lion — did keep eating his fish-skin and corn-husk bandages, vets at the University of California, Davis said Wednesday. 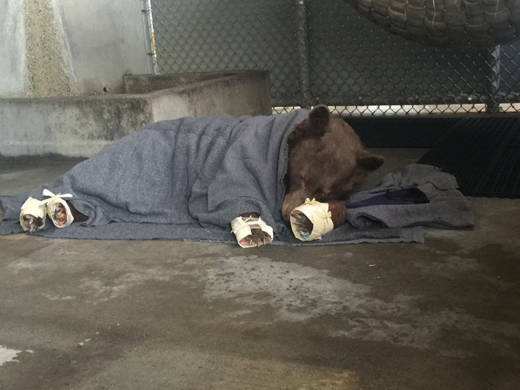 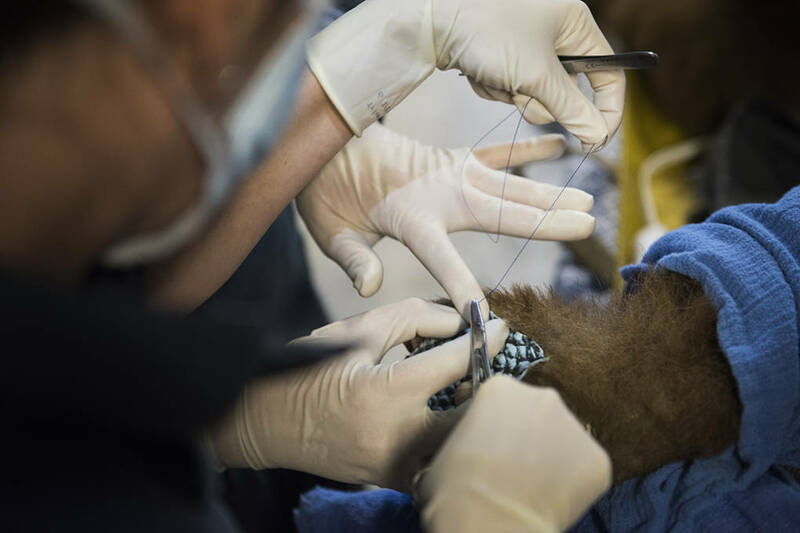 Bears being treated by Dr. Laura Peyton, Chief of Integrated medicine at the UC Davis Veterinary Medical Teaching Hospital at the California Department of Fish and Wildlife on January 8, 2017. 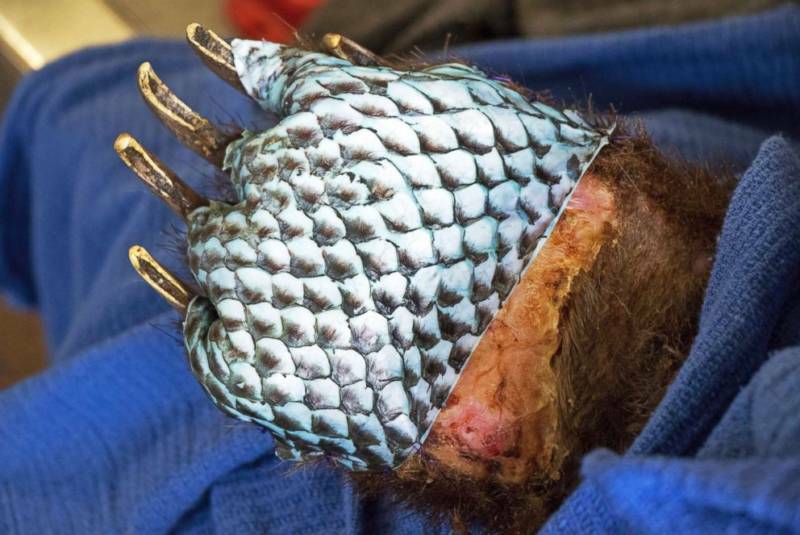 Peyton fit biologic bandages made from tilapia skin onto the badly burned paw pads of the bears.